I graduated in 1972, worked at Meyers, Norris and Penny and then went to Thompson in 1978. Lived there for 5 years, before coming to MacGregor in 1983, Owned a store here for 12 years. For the past three summers, have managed the golf course clubhouse. Love to travel to Mexico for the winter. Patty Peters Hyde Class of 1972 has a birthday today. Patty Peters Hyde Class of 1972 changed "Now" picture. New comment added. 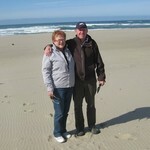 This was taken at the Oregon coast in October 2010. 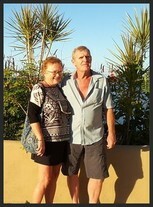 My husband, Gene, and myself had gone to see friends at Roseburg, Oregon.